Background: Complex lateral abdominal wall defects are challenging for surgical treatment. 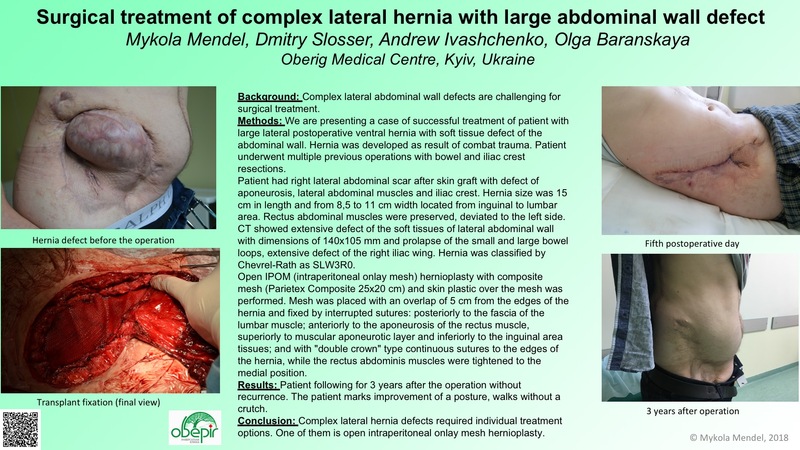 Methods: We are presenting a case of successful treatment of patient with large lateral postoperative ventral hernia with soft tissue defect of the abdominal wall. Hernia was developed as result of combat trauma. Patient underwent multiple previous operations with bowel and iliac crest resections. для предотвращения инфекции области хирургического вмешательства (ИОХВ).